Ever wish you could drink a chocolate bar? Now you can! 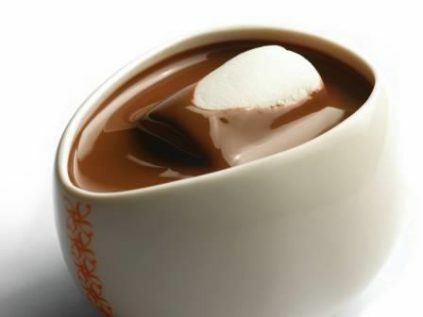 Max Brenner’s Italian thick hot chocolate takes the classic cosy drink to a whole new level. One sip and your entire mouth is engulfed in warm, chocolatey goodness. The Italian thick hot chocolate is available in dark, milk, or white, so it’s certain to please chocolate lovers of all types. If you want more pizzazz, try flavours like mocha, Mexican spicy, coconut, mint, salted caramel, and toffee. And when the weather turns warm, stop by again for one of their renowned choctails or an icy shake.